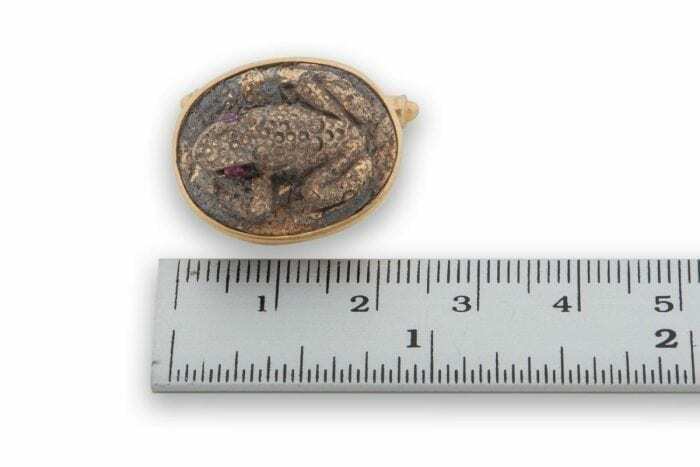 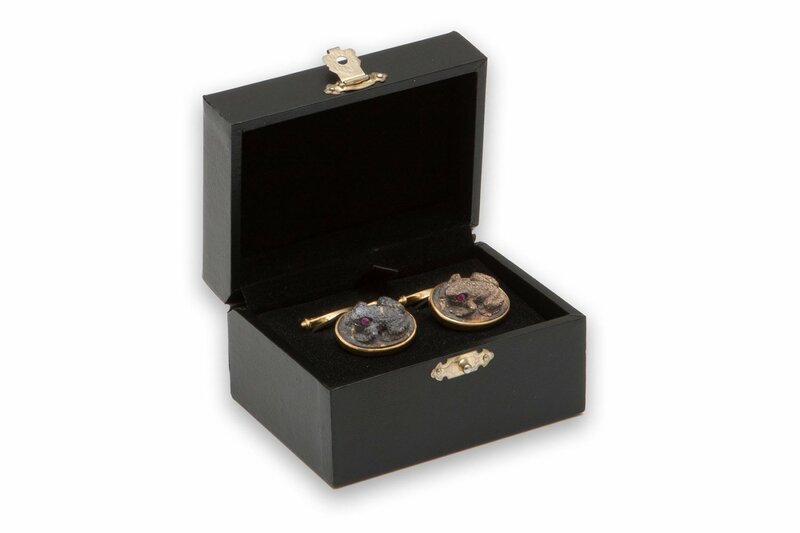 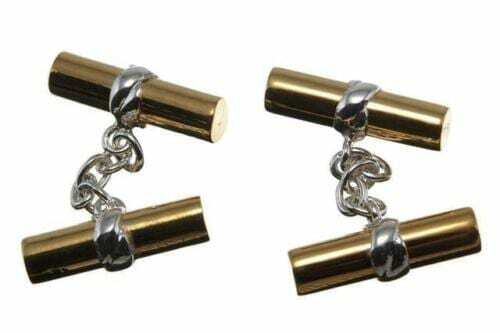 Hand crafted little frogs from genuine mystery stone are mounted to gold plated (5 microns 18k gold) sterling silver chain and shaft attachments to create these fun and stylish cuff links. 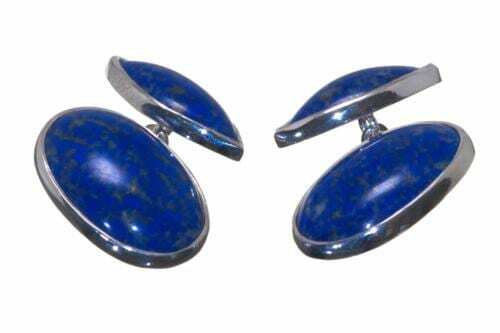 Lovely blue on silver. 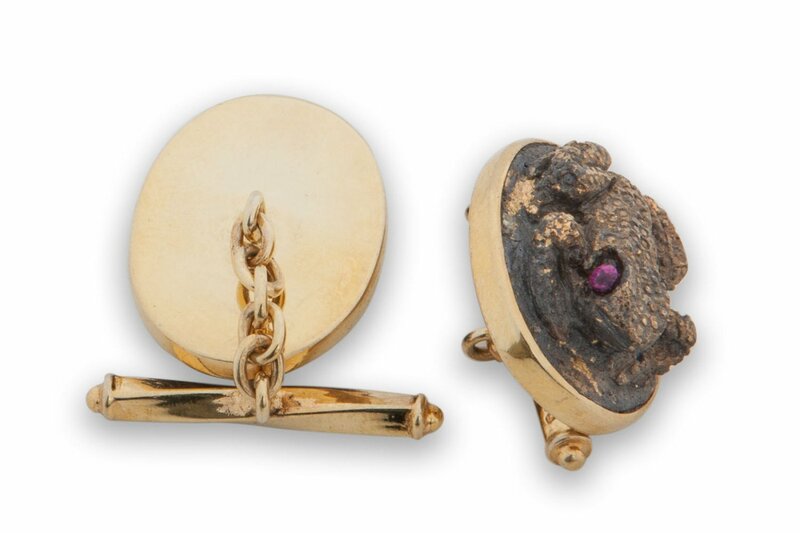 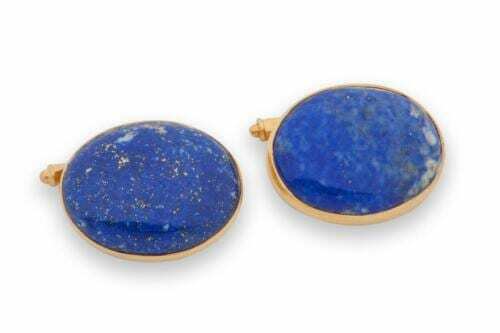 When we gold plated these cufflinks some of the gold has adhered to the minute metallic particles within the stone..This has created an unusual, in fact, unique effect. 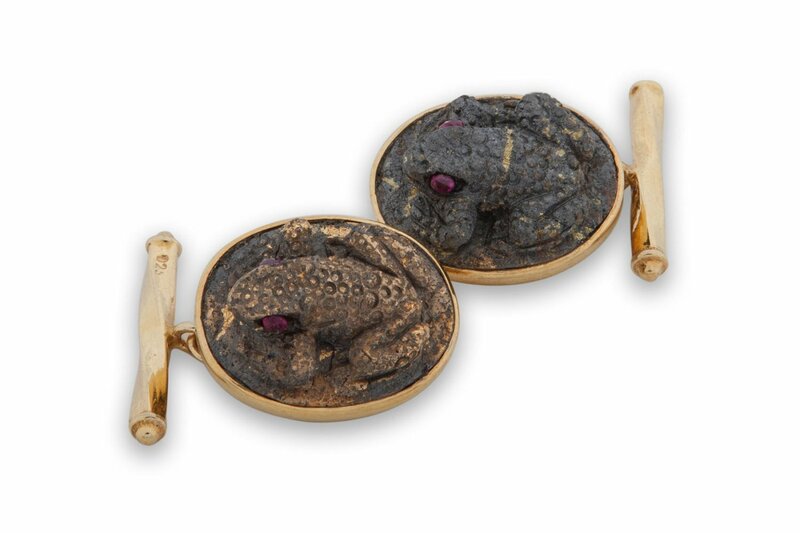 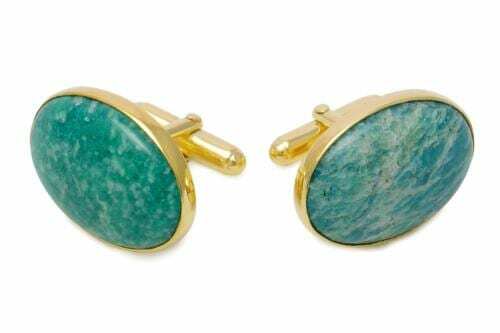 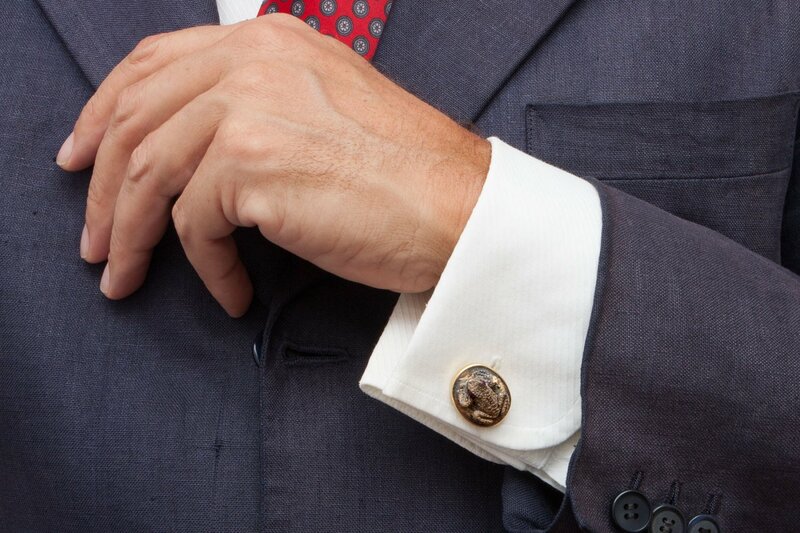 I am sorry that I have forgotten the name of this stone…The rubies (eyes) although very small, are high quality—this is a marvelous pair of cufflinks and if not sold soon I will transfer to my (considerable) private collection.